It’s still only the end of March, yet spring has come so early the cherry blossom is already in flower. 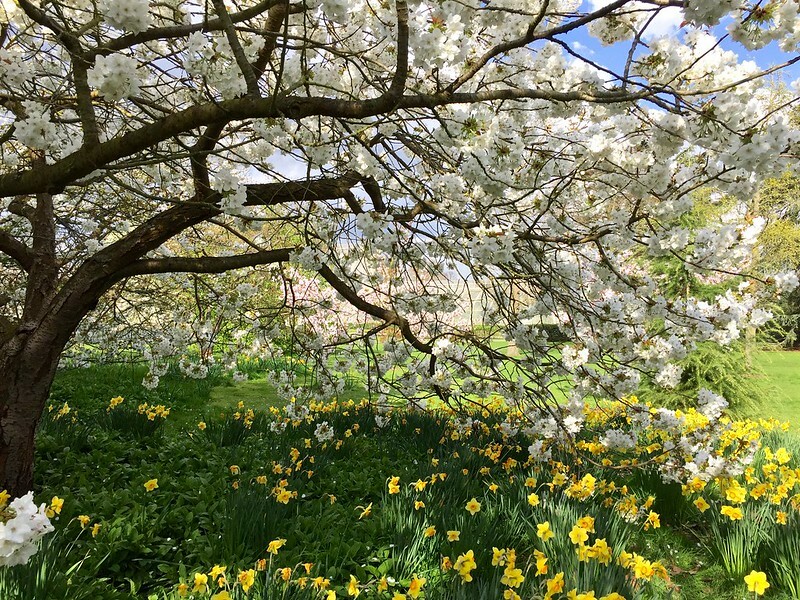 I’ve been down to Kew Gardens to check it out and it’s good news all round – plenty of trees in full flower and plenty still in bud with blossom still to come. It’s turning into a vintage year! I visited the biggest concentration of cherry trees at Kew, situated behind the rose garden at the back of the palm house. There are swathes of white blossom on the Prunus Matsumae trees. It’s so early the blossom and the daffodils are flowering together. Many of the pink blossom trees close to the rose garden are still in bud or just beginning to bloom. But further along the path towards King William’s temple you can find pink blossom in full flower, along with more Prunus Matsumae. 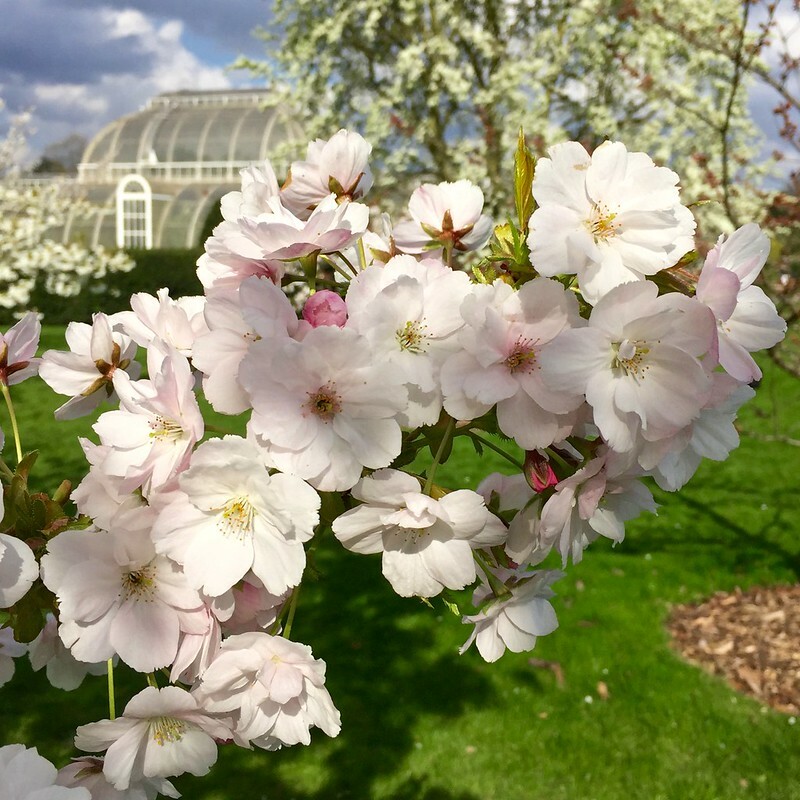 Kew Gardens is a great place to see cherry blossom as it has so many varieties – that’s what gives it the number one spot in my London Parks Cherry Blossom Top Five Guide. 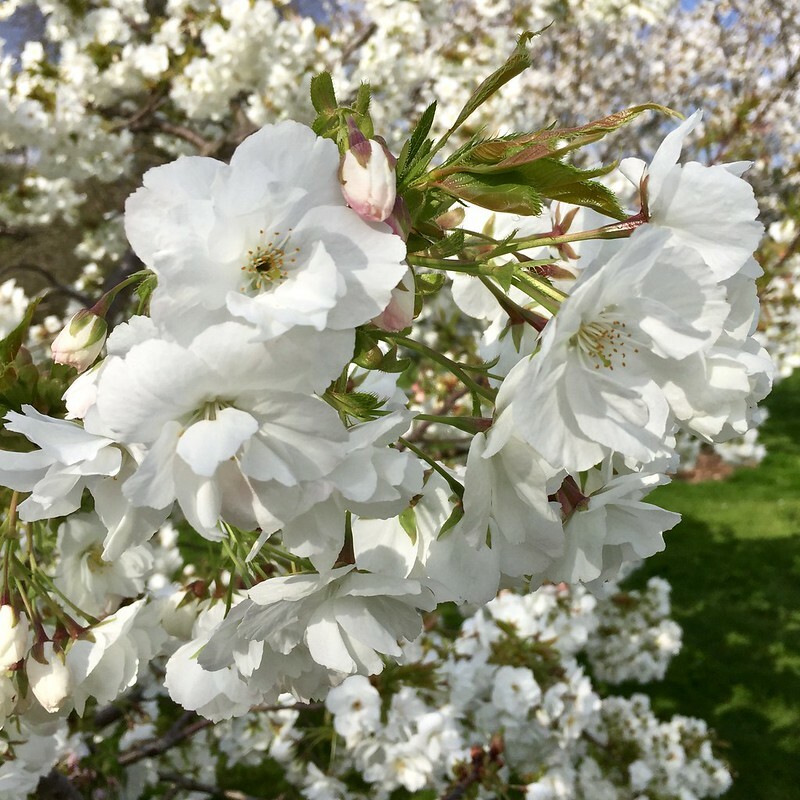 This entry was posted in Cherry Blossom, Kew Gardens and tagged flowers, gardens, Kew Gardens, London, nature, plants by Fran. Bookmark the permalink. How glorious – you must be happy to be having the end of winter being so beautifully welcomed in. Spring, sprang, sprung! So inspiring! lovely post! Is it in full blossom? Oh…am I too late to visit at the end of April? My trip to lodaon will start 29 of April. Check back nearer the time – there could be late blossom still in bloom. Hey Fran, this is amazing! Love how you have been updating about the blooms in Kew Gardens for every year! I was there last weekend, and really wanted to see those blooms in your picture from 2 years ago, next to the lake, but couldn’t find them. Any idea if they have bloomed yet or will I see it if I visit it next week or end of April (I am away for a week around Easter)? Reallu want to see them! Hi Sam, so glad you like the blog! I’m sorry, but the weeping cherry blooms early. When I was there last week it was already past its best. Try again next year! PS Are you looking in the right place? The pond in front of the Palm House? Sorry, the 2017 cherry blossom has been very early and it’s all finished now.